One of the reasons why this clone produces the highest quality Lambrusco is the tendency of the vine to drop its flowers which reduces yields and concentrates flavors. Light color, dry, pleasing bouquet with a fine bubbles. An ambitious purpose. One and a half century of wines, one family, millions of bottles produced, appreciation from all over the world, eagerness for a never-ending improvement. This is how ‘Cleto Chiarli’ was born. It is more than only a winery; it is a world where to produce excellent wines, the ideal cradle where to get the best out of Lambrusco grapes. A modern structure, up-to-date technologies, a setting where you can almost breathe history and tradition. No hurry, nor production anxieties, only the wish to improve ourselves. 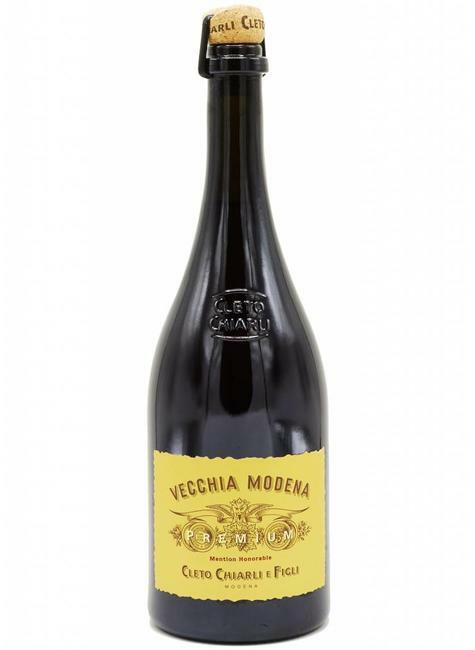 This is how products such as ‘Vecchia Modena Premium’, ‘Fondatore’ and ‘Vigneto Cialdini’ were born, true oenological icons, so linked with their environment and tradition that just the name of Lambrusco cannot convey their true qualities, and is inadequate to express the uncomplicated mineral taste of Sorbara or the rich and fruity sensuousness of Grasparossa.